On these two tables or charts mentioned in Habakkuk 2, the historical waymarks of the Faith of Adventism are pinpointed and we will see from inspiration that this is how God wanted it to be and that these are the waymarks Adventism should follow without altering them. So when did this Prophecy to Write the vision, and make it plain upon tables came to pass? So from what we have just read, we see that the prophecy of Habakkuk 2, had a fulfillment in the year 1842 "to write the vision and make it plain upon tables. Also, from the quote we have just read, it stated that it was Charles Fitch who the Spirit of God moved upon to create the prophetic chart. A) Who created the prophetic chart? B) In what year was it created? A) What was the first table/chart called? B) Whose hand directed the creation of this chart/table? C) Should we alter or change what is on the chart/table? D) Is this the way God wanted the figures to be on the chart/table? D) Why was it called the 1843 Chart? We have read about "tables" in Habakkuk 2 and we know that "tables" is plural, which means more than one. So here is the problem, we saw that it was only one chart/table created in 1842 while we read about more than one. So now we need to trace down and see where in history the second table/chart of Habakkuk 2 had its next fulfillment. Here we can now clearly see that Ellen G. White has gotten a vision from God about the chart that was published by Brother Nichols. 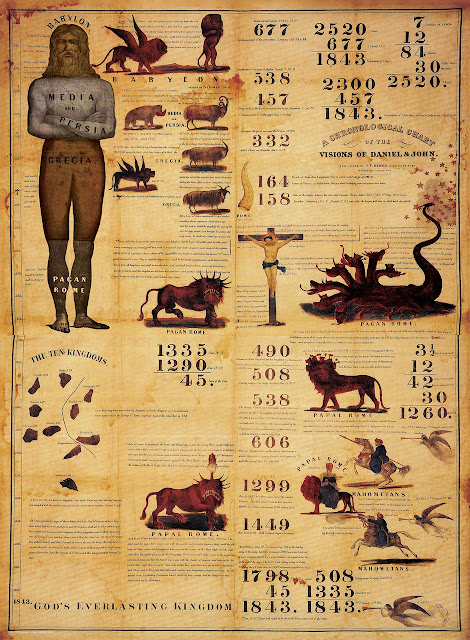 She vividly stated that God was in the publishment and that there was a prophecy of this chart in the Bible and further, she stated that this chart serves to make the truth plain upon tables. A) Who created this next prophetic chart? B) In what year was this chart created? B) What was this second chart/table called? C) Why was it called the 1850 chart? We have reached the conclusion of this study and from what we have understood or learned so far, it is clear from the Word of God that the tables of Habakkuk 2 had their prophetic fulfillment, one in the year 1842 and the other in the year 1850. 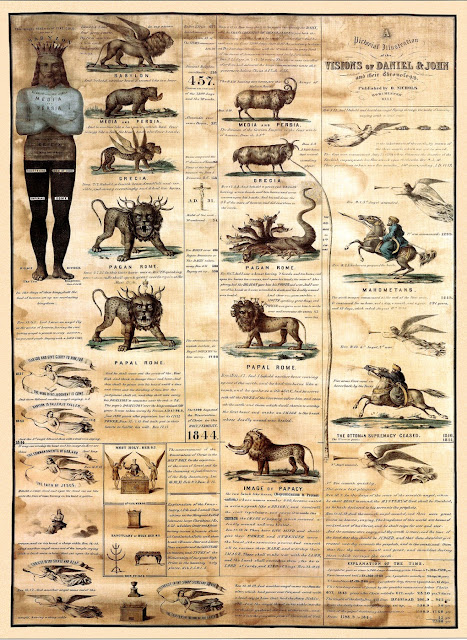 Inspiration tells us that God directions were given in the creation of these charts and the one created in 1850 has the expanded treatment of the sanctuary and the flight of the third angel on it. 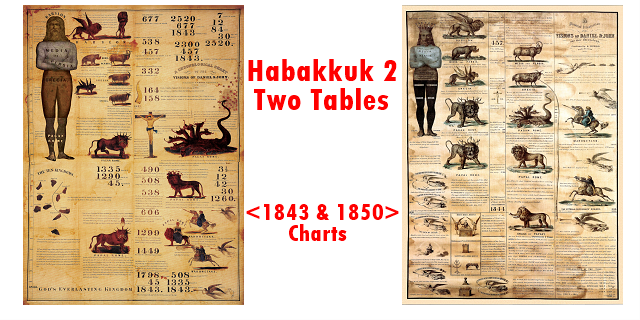 We hope this study was a blessing to you and you should read part 2 here: Habakkuk Two Tables - The 1843 and 1850 Charts - Part 2. God Bless.